If you aren’t happy with the way the roof on your home or business looks, you don’t have to rush to replace it altogether. At Custom Coating Restoration, we specialize in offering sealing, cleaning, and color restoration services in Rancho Bernardo, CA. You will be blown away with how close we can get to returning your roof to its original glory without the need for a total replacement. It’s important to clean the roof on your home or business at least once every year or so. Custom Coating Restoration can offer you roof cleaning and power washing services that will lift and remove dirt, mold, algae, and more. This alone will extend your roof’s life and stop staining and discoloration. The roof on your home or business is obviously subjected to a lot of sun exposure on a daily basis, especially here in California. This can really wear a roof down and affect the temperature inside of a structure. To combat this, Custom Coating Restoration can apply Cool Roof Coating to your roof, which is specifically designed to reflect sunlight and stop it from having a negative effect on your cooling costs. We can also apply a commercial flat heat reflecting roof sealer on your Rancho Bernardo, CA business structure. We understand that every bit of savings matters when you’re a business owner! When properly cared for, tile, metal and composite roofs can last for an extremely long time. Custom Coating Restoration can help you with the necessary maintenance by providing tile, metal and composite roof coating and sealing services for your home or business. Not only will this protect your roof from the look of excessive sun damaged, but it will extend its life significantly. Did you know that you might be able to cut down on your company’s cooling costs by having your roof properly sealed? Custom Coating Restoration can apply a commercial flat heat reflecting roof sealer that will reflect the sun and eliminate the heat stress your roof is forced to deal with daily here in Rancho Bernardo, CA. Over the years, the coloring on a tile roof will start to fade, as there is only so much sunlight it can take before it begins to show its age. 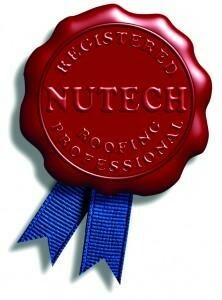 However, this doesn’t necessarily mean that your roof can no longer perform its essential duties. Custom Coating Restoration can provide you with color restoration services for your tile roof here in Rancho Bernardo CA so you don’t have to waste money on an unnecessary roof replacement. You can restore the original color of your tile roof and make it look shiny and new again in no time. Schedule a Roof Cleaning, Pressure Washing or to Get Your Free Estimate! Are you interested in learning more about Cool Roof Coating or the other sealing, cleaning, and color restoration services in Rancho Bernardo, CA that Custom Coating Restoration can provide for you? Let us know by calling 800-621-6722 today.